The Leisure brand has over 120 years of range cooking history. Staying true to that history we ensure every range cooker we produce has the very highest quality and performance, combined with the latest cutting edge design. Since its beginnings over 230 years ago, Leisure has been synonymous with innovation. The most significant development resulting from this pioneering spirit was the introduction of the first ever range cooker in 1883. The rich history of the Leisure brand has helped us become one of the largest range cooker brands in the UK. In 2002 the Leisure brand was acquired by Beko Plc, one of the largest domestic appliance manufacturers to the UK, the 3rd largest appliance company in Europe and one of the top ten appliance brands in the world. Synonymous with quality and innovation, Leisure develops cutting edge cooking technology in new and state-of-the-art production facilities, ensuring excellence in design, materials and construction of all its range cookers to meet the exacting standards of quality required by today's consumers. Leisure have carefully developed a choice of range cookers to meet a variety of individual tastes and cooking styles. These days, people with busy lives demand cookers that are simple and easy to use but also practical and easy to maintain. Our range cookers are designed for people for who find cooking a passion and a pleasure, and who expect their cooker to be packed with features and benefits. Chefs who have a need for total performance and reliability can rely on us. To ensure the highest quality design, materials and construction of our cookers, we remain true to our core values of craftsmanship and uncompromising performance. Exhaustive attention to detail is coupled with the benefits of modern manufacturing techniques, whilst our state-of-the-art production facility meets exacting standards of quality control. All of which ensure that the cooker you choose has the many advantages of the hand-built originals. Leisure range cookers are designed to meet the needs of the most discerning customers, combining stylish good looks with durability, reliability and affordability. Leisure range cookers fit an array of kitchen layouts, offering a choice of complimentary designs – our cookers are lovingly crafted to suit every home. The kitchen is increasingly the hub of the home, around which all other activities are carried out - and the cooker is undoubtedly the centre of the kitchen. 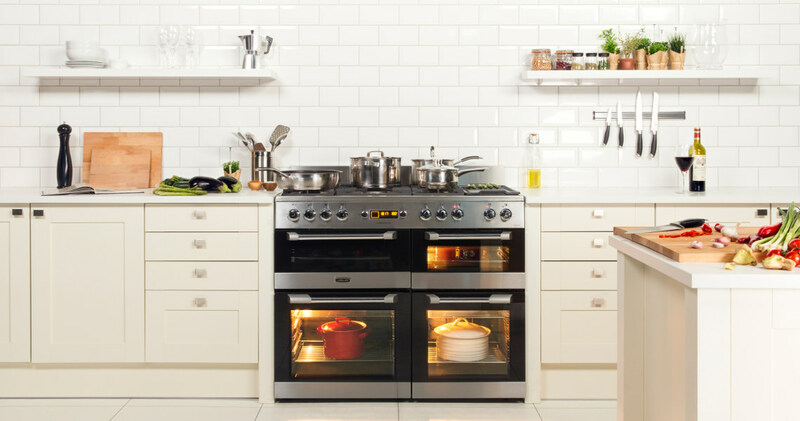 Leisure range cookers provide a centrepiece of outstanding performance and uncompromising quality - put simply, they're the perfect cooking companion.